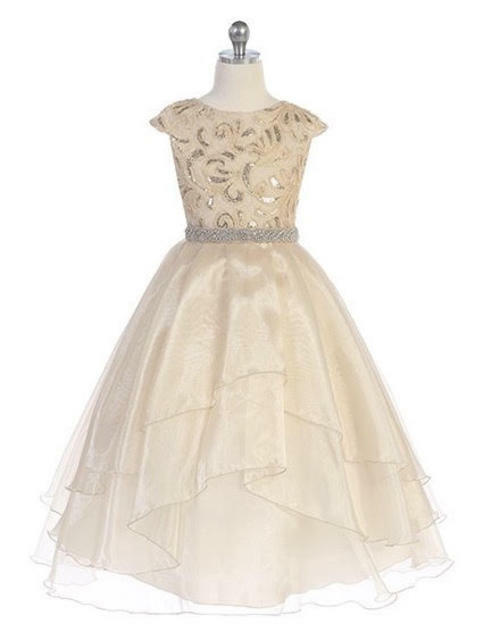 Stunning girls pageant dress features beaded top with cap style sleeve, beaded belt with multi layer organza skirt. Sash ties into bow in back. 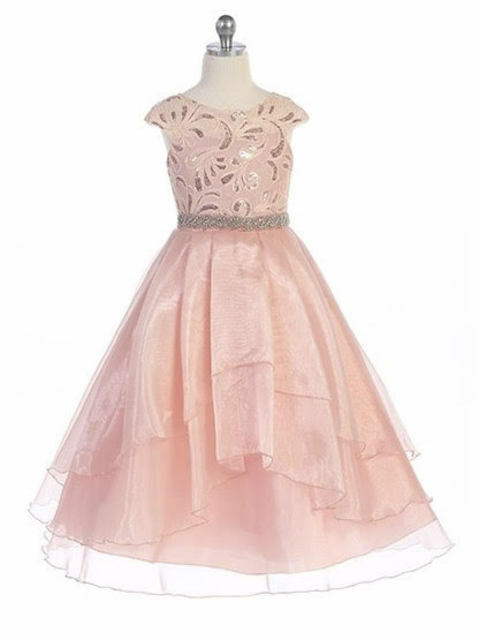 Available in sizes 2-20! *Matching socks, shoes, slip, accessories and more available. See Children Accessories.